We provide a professional auto upholstery service and interior restoration service in Lafayette. Browse our image gallery to see some example or our auto upholstery and interior work in Lafayette. If you're in Lafayette and you need auto upholstery or interior restoration for your vehicle get in touch with us today! 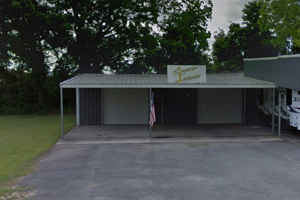 At Superior Interior, located in Lafayette Louisiana, we are dedicated to providing professional customer service and auto upholstery services. Whether you need a car upholstery, truck upholstery, or interior restoration, our goal is to provide our customers with honest, quality service in a timely manner right here in Lafayette. We believe our customer’s needs and satisfaction come first. Superior Interior is committed to maintaining a highly ethical and sound business practice in order to meet and exceed our customer’s needs in auto upholstery services and interior restorations for your vehicle. Superior Interior Offers Upholstery And Interior Restoration Services For Boats Too!